George Washington paid close attention to the manner of domestic entertaining that he felt best defined the new American presidency. The challenge was complex, for it was incumbent upon Washington to project a solid and strong executive (and thereby government) while at the same time avoiding any appearance of a monarchy. With every step, Washington defined how a nation founded on republican ideals functioned in the world and presented itself. From the use of enslaved positions in Washington family livery riding with his carriageto his theater box "elegantly fitted up and distinguished by the arms of the United States," the new president offered visible reminders of his position and role. In addition to his appearance in public settings, Washington paid close attention to the manner of domestic entertaining that he felt best defined the new American presidency. He understood the need for opening the executive residence and properly receiving those who called on the president. Statesmen, former soldiers, and foreign dignitaries all "crowded to the seat of the general government, all anxious to witness the grand experiment that was to determine how much rational liberty mankind is capable of enjoying, without that liberty degenerating into licentiousness." The levees held by Mrs. Washington every Friday evening were less formal affairs for both ladies and gentlemen, and the president seems to have been more relaxed on these occasions. 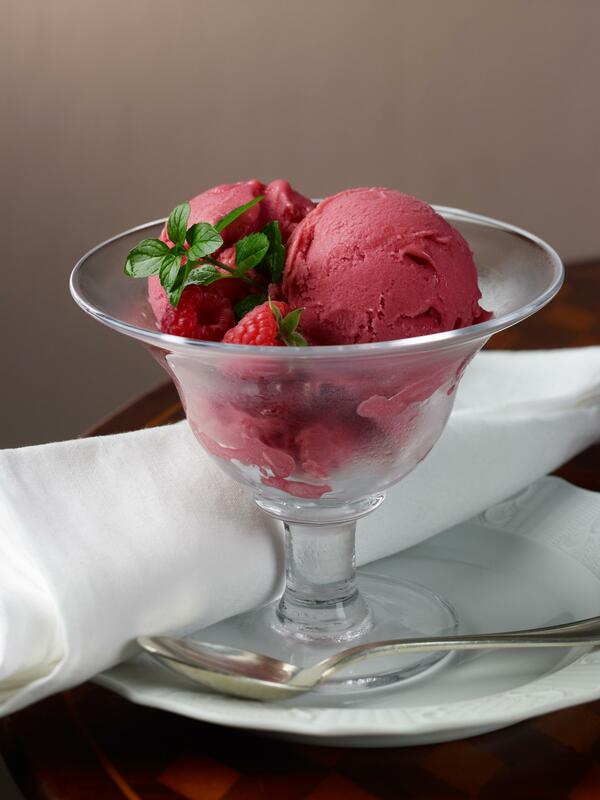 The menu for the evenings changed with the seasons-from the cool refreshment of ice cream and lemonade to hot tea and coffee, cakes, and candies. Perhaps the most elaborate of the entertainments, dinners for members of Congress and other important government officials, were held on Thursday afternoons at four o'clock. Martha Washington joined these meals, but was often the only female present. Pennsylvania Senator William Maclay attended one and declared it, “a great dinner & the best of the kind ever I was at," although he also suggested "it was the most solmen dinner" he ever attended, with “not an health drank [and] scarce a word said, until the Cloath was taken away...then the President filling a Glass of Wine with great formality drank the health of every individual by name round the Table." George Washington understood that his entertainments would set precedents for future presidents to follow, and he took seriously the need to make certain that dinners were dignified and befitting his guests and himself. He was, however, occasionally bored by these serious and formal meals, in stark contrast, perhaps, to more lively gatherings with friends at Mount Vernon. Maclay also recorded that, "The President kept a fork in his hand when the [table] Cloath was taken away I thought for the purpose of picking nuts...but played with the Fork striking on the Edge of the Table with it." As Washington established the manner in which the presidential household received and entertained guests, he also had an opportunity to reflect on some of the furnishing purchases made for him by Congress. Washington sought a stylistic balance between pieces that were sufficiently grand to impress foreign dignitaries, yet those that did not convey a royal court culture. 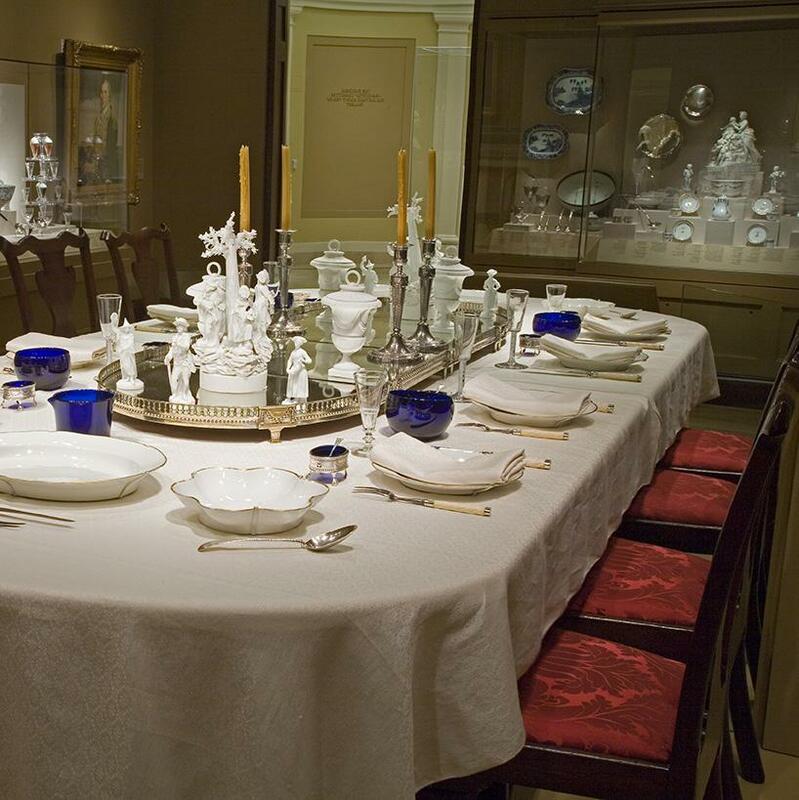 Washington understood the important role tablewares played in communicating this balance, and throughout his life he paid a great deal of attention to his dining table and the surrounding spaces. Once he became president, his mind automatically turned to orchestrating an ensemble of tablewares appropriate to the type of entertaining he sought to establish. For assistance in procuring the latest fashions, Washington turned to trusted aides and colleagues. He asked secretary Tobias Lear to secure a proper centerpiece, or plateau, for formal dinners, and Lear subsequently wrote to Clement Biddle in Philadelphia: "The President is desireous of getting a sett of those waiters, salvers, or whatever they are called, which are set in the middle of a dining table to ornament it ... Mr. Morris and Mr. Bingham have them, and the French & Spanish Ministers here, but I know of no on else who has." When the examples Biddle shipped did not meet Washington's expectations, Lear wrote to Biddle expressing the President's thanks for attention to this matter while also indicating that, "The President has been much indisposed, for a week past with a fever and a tumor on his thigh." Washington's illness had been quite serious, yet his attention to the plateau sent by Biddle is testimony to his concern for proper presidential tablewares. When he had recovered, Washington took the matter into his own hands and solicited the assistance of Philadelphia statesman Gouvemeur Morris (who was conveniently located in France). In the spring of 1790, the first shipment of goods procured for Washington by Morris arrived from Paris. Of his purchases for the president, Morris suggested that they retained “a noble Simplicity and as they have been fashionable above two thousand years, they stand a fair Chance to continue so during our Time." Morris forwarded a nine-piece silver-plated plateau and three porcelain figural groupings along with twelve figures and two vases to complement the centerpiece. The unglazed biscuit porcelain in classically-inspired figures and forms served as references to the political ideals of ancient Greece and Rome. The pure white body of the pieces suggested the cool white marble sculptures of antiquity of both the subject and appearance blended perfectly with the founding principles of the new nation. Morris' shipments also included the two- and four-bottle wine coolers the President requested, although Washington found the four bottle examples were “too unwieldy to pass; especially by Ladies." He asked Tobias Lear to employ a Philadelphia silversmith in making two lightweight frames that would each hold four glass decanters. To acquire additional French pieces for his dining room, Washington availed himself of the opportunity to purchase belongings left in New York by the departing French minister, the Comte de Moustier. For the state dining room, he purchased mahogany “buffets," a pair of large gilt looking glasses, and an elegant French porcelain table and dessert service. 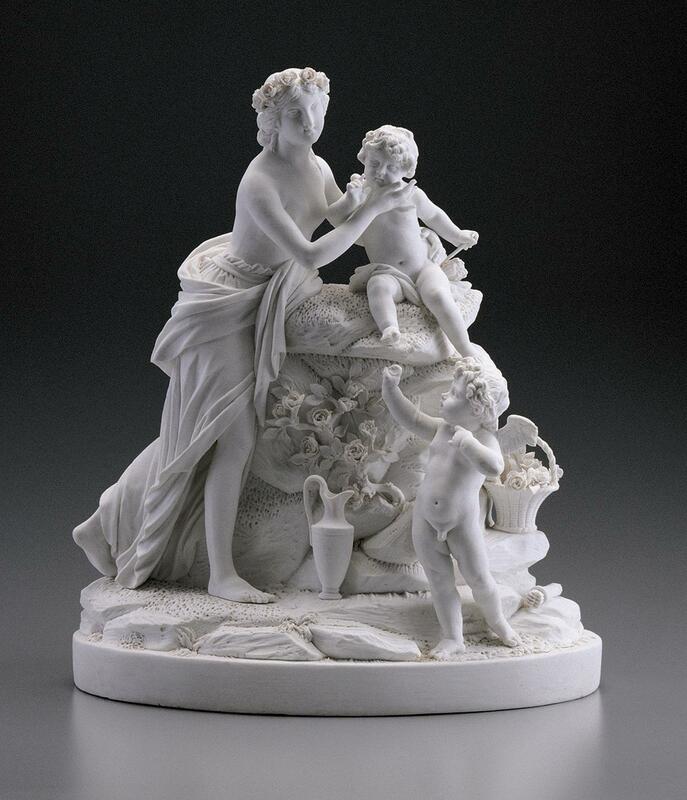 The 309 pieces of white-bodied and gilt-rimmed porcelain had been assembled from the French porcelain factories of Sèvres, Angoulême and Nast. It included dozens of soup and dinner plates as well as a host of specialized forms including iceries and ice cream pots, egg dishes, and flower pots. With a simple and elegant neoclassical aesthetic, the pieces matched Washington's preference for “neat and plain" while providing subtle references to ancient white marble statuary and republican ideals. The service debuted at Washington's dinner of March 4, 1790, when all twenty-six senators were present. Clear and colored glassware also adorned Washington's presidential dining table, sparkling in the light reflected from silver-plated candlesticks. Clear glass decanters and glasses decorated with patterns of wheel-engraved stars and banding offered elegant imported and fashionable vehicles for enjoying beverages such as wine, beer, distilled liquors and punch. Cobalt-colored wash-hand glasses (or finger bowls) and wine rinsers allowed Washington's guests to clean soiled fingers and refresh wine glasses between meal courses. All were, as Washington noted, purchased "at private expense." Presidential guests were served by enslaved waiters wearing livery in the red and white Washington family colors that melded nicely with the “Crimson Sattin” curtains of the Philadelphia state dining room, where Thursday dinners were held. Approximately three dozen dining chairs, probably upholstered in matching crimson, circled the tables assembled for Washington's guests. Last Thursday I had the honor of dining with the President in company with the Vice-President, the Senators, the Delegates of Massachusetts and some other members of Congress, about 20 in all. In the middle of the table was placed a piece of table furniture about six feet long and two feet wide, rounded at the ends. It was either of wood gilded or polished metal, raised about an inch with a silver rim round it like that round a tea board; in the center was a pedestal of plaster of Paris with images upon it, and on each end figures, male and female of the same. It was very elegant and used for ornament only. At his own expense, Washington had complemented those tablewares and furnishings supplied by Congress with additions the president felt necessary to provide respect for the young republic. As president, George Washington desired tablewares that would strike a stylistic balance between appearing too regal and not being sufficiently dignified enough to impress foreign dignitaries. Step back in time and join "Lady Washington" for a cozy fireside tea! Kenneth R. Bowling and Helen E. Veit, eds., The Diary of William Maclay and Other Notes on Senate Debates, Vol. IX of Documentary History of the First Federal Congress of the United States of America 4 March 1789.3 March 1791 (Baltimore: The Johns Hopkins University Press, 1988); Christmas with George Washington 1776-1799 (Philadelphia: Franklin Printing Co., n.d.); Stephen Decatur, Jr., Private Affairs of George Washington (Boston: Houghton Mifflin, 1933); Benson J. Lossing, Recollections and Private Memoirs of Washington, by his Adopted Son, George Washington Parke Custis (New York: Derby & Jackson, 1860); William Sullivan, Familiar Letters on Public Characters and Public Events (Boston: Privately printed, 1834); Dorothy Twohig, Mark Mastromarino, and Jack D. Warren, eds. The Papers of George Washington, Presidential Series. 12 vols. (Charlottesville: University of Virginia Press, 1987-).